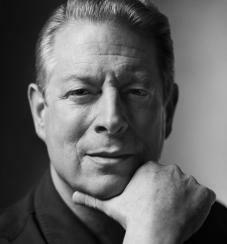 Al Gore, the 45th Vice President of the United States, was a key proponent of sponsoring legislation that funded the expansion of and greater public access to the Internet. Instrumental in helping to create the “Information Superhighway,” Gore was one of the first government officials to recognize that the Internet’s impact could reach beyond academia to fuel educational and economic growth as well. Gore’s interest in computers dates back to the 1970s when he was a Congressman, where he had a reputation for being an “Atari Democrat.” He created the High-Performance Computing and Communications Act of 1991 (the Gore Bill), which allocated $600 million for high performance computing and helped create the NREN (National Research and Educational Network). In addition, the Gore Bill created the National Information Infrastructure (NII) also known as the Information Superhighway.